Elementary OS Freya is a new name to most of the users and the news to share with you is that the first public beta of Freya has arrived. Beta is a stage in any software development where the software or operating system under development is provided to a group of enthusiastic testers for testing, detecting bugs, if any, and feedback. Freya is an unconventional operating system that incorporates core components from Ubuntu 14.04.1 LTS such as the Linux kernel (version 3.13), hardware drivers, and graphics stack. Freya was originally called “isis” Elementary OS or eOS. The first public appearance of eOS as beta version is renamed as Freya. The update news was announced by Cassidy James of Elementary OS. Freya is Norse goddess of beauty and love who reigns in the divine afterlife field. The idea behind naming the beta after Freya is that eOS also aims to excel in the beauty of design. So the name will connect naturally. When asked about the nomenclature Cassidy said, “we want to both recognize the ongoing turmoil and choose a less controversial name.” According to him, the initial name set by them, bore an uncanny resemblance to the militant group ISIS ( Islamic State in Iraq and Syria ). So they altered the name after pointing out the unrest and tyranny led by the active ISIS group and chose a one that justifies beauty in true sense. Freya is something extra to UBuntu. The parts that had remained uncovered in UBuntu have been covered by Freya, as they claim. Nowadays, most of the GNU/Linux based common desktop interfaces such as KDE, GNOME and Xfce focus on being lightweight than being “modern” or visually polished. Ubuntu’s Unity interface had been successful in alluring newbies to the world of GNU/Linux. 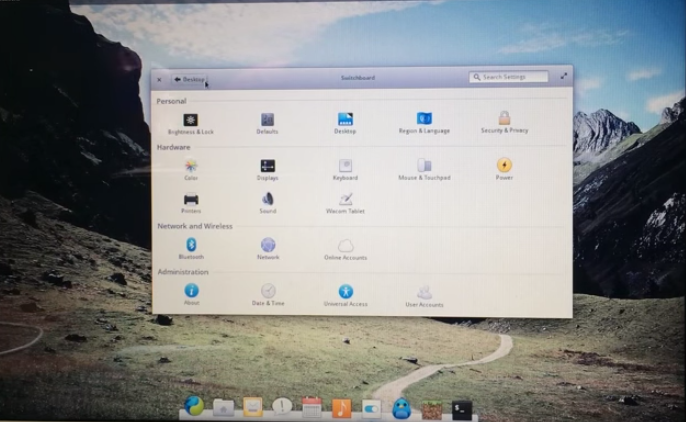 Elementary OS exaggerates this functionality by including the concept of minimalism. Freya has been appreciated for not being stereotype OS. The user interface is definitely polished. Animations and movements are more subtle than ever. It provides plenty of flexibility in the looks and design with amazing themes, header bars and so on. You can download Freya here.